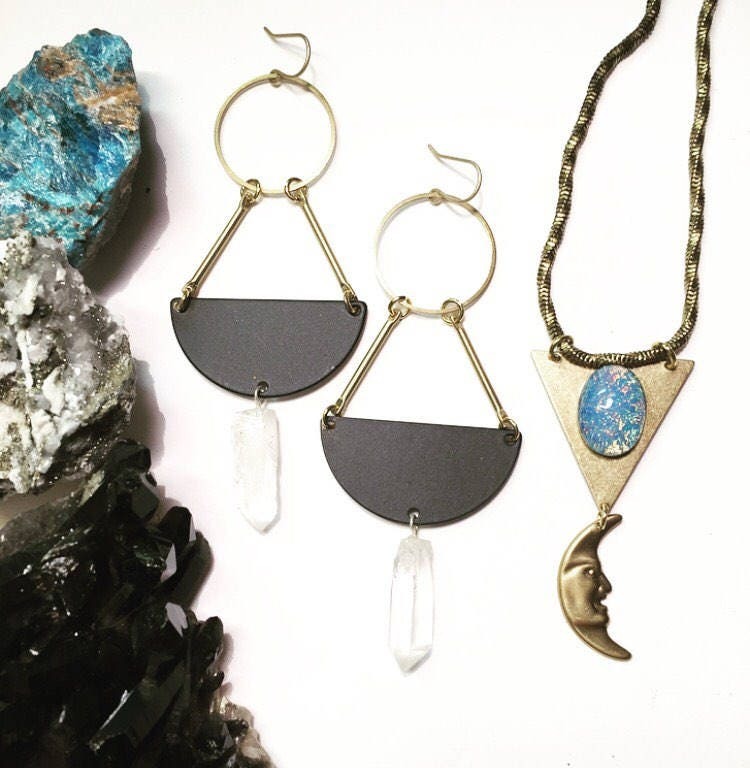 The Quarter Moon earrings are named for the phase of the moon. 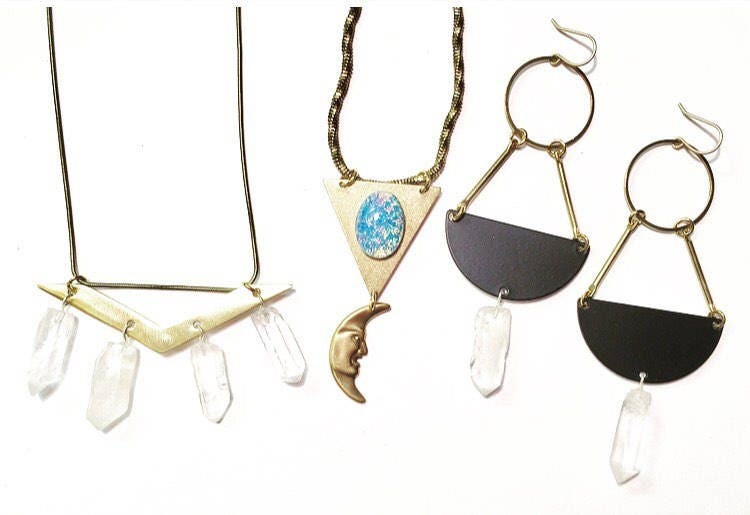 The first quarter of the moon cycle symbolizes a period of strength, determination, and commitment to action. 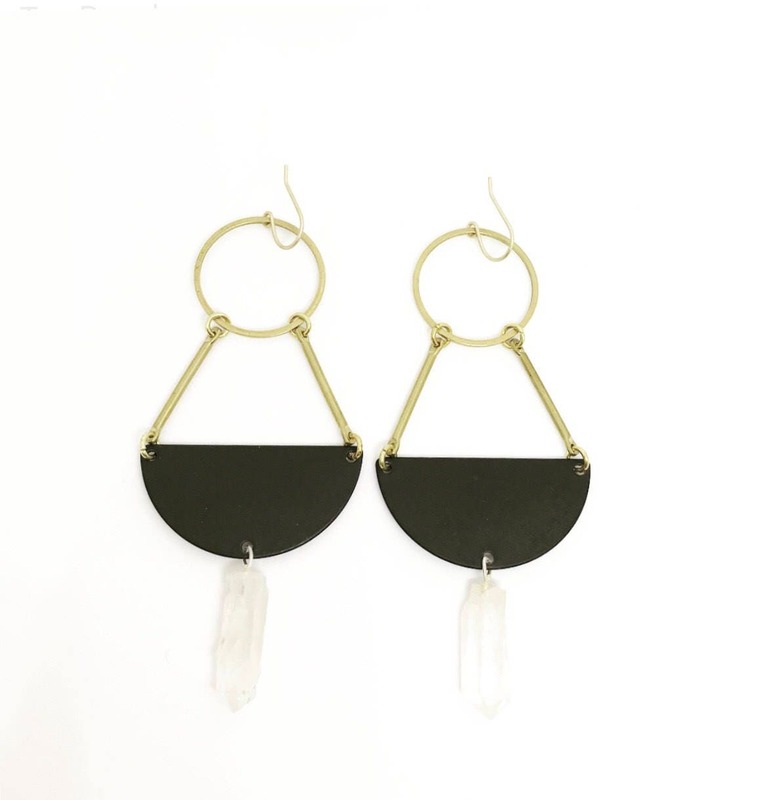 The earrings feature matte black semi-circles, vintage brass connectors and circles, and natural quartz crystals. 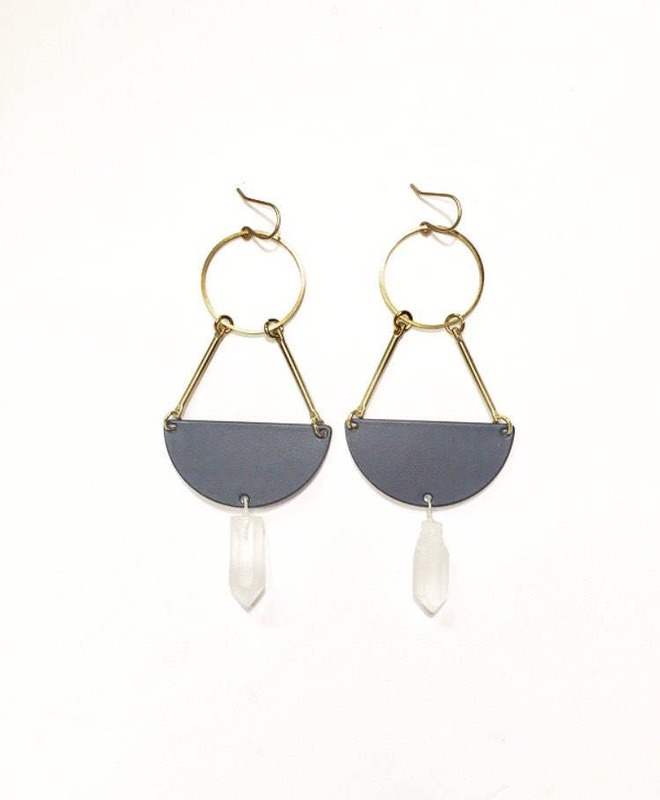 The earrings measure 3.5 inches long. 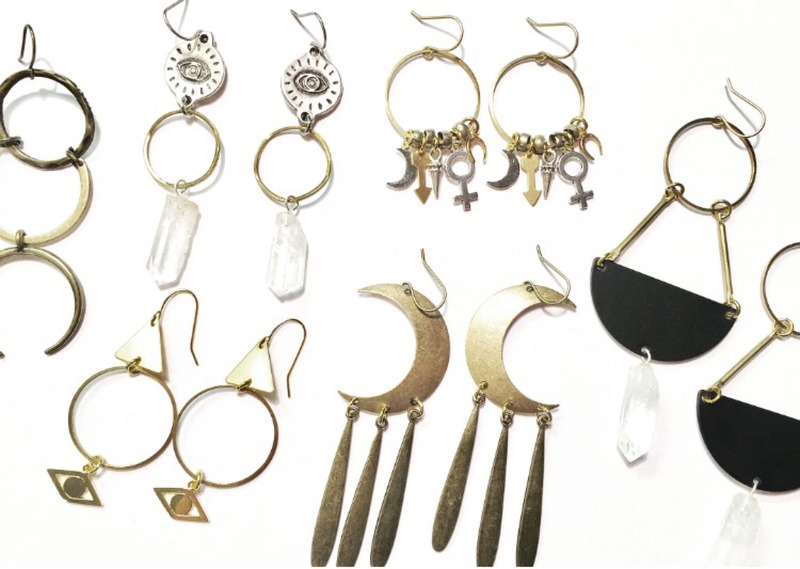 The ear hooks are nickel free and gold plated.